Today begins the first day of the first lesson of a new quarter where the focus is on the direct teachings of Jesus Christ who is the eternal Son of God. To distinguish the ‘God of Heaven’ from himself who is also fully God, Jesus refers to him as both his Father and ours. We must keep in mind that Father is far more than just a name. In Scripture names have meaning that give us understanding who the person is. In-other-words, as we explore the meaning of ‘our Loving Heavenly Father’ we will learn more about God. Keep in mind that real understanding can only come through the Bible, the inspired written word of God illumined for us through the ordained work of the indwelling Holy Spirit when we receive the application of the atoning blood of our Savior shed at Calvary. Only then can a person truly learn who God is, John 16:5-15. If we are to have an accurate true understanding of the teachings of Jesus Christ we must be very careful to know what is actually recorded in Scripture not altered with extra-biblical teaching. In the original languages of the Bible words can have very precise meaning. Even though our conversation in this ‘modern’ age often makes use of expressions with approximate or undefined meaning, this is not true of God’s inspired Word. Here is the very first sentence of today’s lesson: ‘Jesus delighted to speak of God as the Father’. While the Old Testament uses the word ‘delight’ in its various forms many times this word is used only one time in the New Testament, Romans 7:22. While you may personally think Jesus was delighted to speak of God as the Father Scripture doesn’t record him as having this motive for saying this. Shifting our focus somewhat by examining ‘delight’ as used in the Old Testament we find that the root Hebrew word means ‘to bend’ or ‘to wag ones tail’. This is an obvious allusion to a pet of ours who wags his tail in an expression of joy by being around us which illustrates our delight when we truly worship God. Since Jesus Christ the Son of the Father is himself wholly God it isn’t likely he would do this and may be the reason why there is no record of him using this word in the New Testament. The quarterly lesson theme for today is that it is important to “have a right attitude toward God” because (God) the Father is located in heaven. The lesson also asserts that the mission of Jesus was to “complete the revelation that God had made of Himself in the Old Testament”. Point #1: God is sovereign. It is entirely proper to address God as ‘our Father in Heaven’ in the way Jesus encouraged us to pray, Matt. 6:9-13. What makes this even more appropriate is to understand that Jesus the Son of God who is fully God has been seated at the right hand of the Father since his ascension into heaven, Mark 16:19; Romans 8:34. However, what motivates us to have a right attitude toward our Creator God in heaven is that he is the one and only absolute sovereign of the universe. In the book of Job God referred to Job as ‘a righteous man’ yet the lesson even Job needed to learn was to change his own attitude towards God, to know and humbly accept the awesome sovereignty of God. Point #2: The real mission of Jesus. To say Jesus’ mission was to complete the revelation of God while here on earth is utter nonsense. Certainly he told us many things about the Father in heaven but that was not the reason he was born in a manger in Bethlehem, lived among fallen mankind and died at Calvary. He came in person here on earth to do something fallen sinful man could not do for himself. The penalty of sin is death which we could not pay and survive death. Jesus came to earth as a sinless person to die in our place, defeat death and come back by his own power from the grave three days later. That was his mission and that is what he did. Since the God of Heaven is an all-powerful all knowing and everywhere present sovereign (Psalm 139) located in heaven outside of the limitations of his created universe the ‘Great Controversy’ theme cannot possibly be true. Not even Satan could possibly prevail in challenging God. Since our sovereign God answers to none, there are no ‘watching beings’ in the universe who God must vindicate himself before. To attempt to limit God’s sovereignty in any way is heresy. Jesus didn’t come to earth to simply give us more information about the Father in heaven. The gospel message of the death, burial and resurrection of Jesus summarizes the mission and reason Jesus lived among fallen mankind. All else that is recorded about Jesus’ ministry while here on earth, while important for us to know, is secondary to his one central mission here on earth. To teach that Jesus mission was something other than or in addition to the gospel message is a false gospel which is no gospel at all. Today the focus is on the importance of knowing our Father in heaven but doesn’t answer the question of how this is possible. This leaves us with the unstated idea that maybe we will have eternal life if we know enough about God. The secondary theme seems to be a promotion of the Adventist concept of ‘The Great Controversy’ with the allegation that Satan has challenged ‘the character of God’. Point #1: The introductory paragraph makes this claim with John 17:3 as a supporting reference; “Nevertheless, our priority should be to know God, because eternal life is to know the Father”. Let’s take a moment and examine this statement in light of the surrounding verses, the context, of John 17:3 to understand what Jesus was really teaching. Turning back to chapter thirteen you will see that the setting is the night of ‘The Lord’s Supper’ and the events that led to his death at Calvary. By the Jewish way of reckoning the start of a day this was the day of his death for ‘the sins of the world’. The lesson reference verse is part of Jesus’ prayer to God his Father in heaven. The danger of taking this one verse out of context is that a person could be led to believe that all one must do to gain eternal life is to know who ‘the heavenly Father’ is. If you include the previous verses and the context of this prayer of Jesus’ you will understand that his death at Calvary was to make his payment for mankind’s debt of sin. His death at Calvary, along with nothing else, gives us eternal life. Our salvation and eternal life is totally and solely a work of Jesus Christ at Calvary. How much we may know or not know intellectually about our loving Heavenly Father in heaven is not what Jesus is proclaiming. Instead Jesus is teaching us of a relationship, where because we have eternal life, we intimately know the only true God and Jesus whom he sent. Point #2: As establish yesterday God is the one-and-only absolutely sovereign of all creation which means he answer to none. To paraphrase what he said to Job; “Where were you when I created the universe and all that is in it”? What this quoted passage establishes is that a wise person will boast in one thing only, that he knows the LORD whose attributes include love, justice and righteousness. Keeping in mind what Jesus said in his prayer to his Father, we need salvation (eternal life) before we can ‘know’ the Father in heaven. Since the definition of ‘LORD’ includes the understanding that our Father in heaven is totally sovereign there is none who can or would dare bring a charge against our heavenly Father. The lesson brings in the unbiblical ‘Great Controversy’ theme by saying “Satan’s main attack has been against the character of God”. This is extreme nonsense and blatant heresy. Satan is nothing more than a created being who Jesus calls ‘the father of lies’, John 8:44. In the lesson reference verses, John 14:7 & 9, Jesus simply says that salvation is only through him and if you ‘had known’ him you would also ‘know’ the Father in heaven. To know Jesus and his Father in heaven is to understand the words of Jesus when he says “I am the way, and the truth, and the life. No one comes to the Father except through me”, verse 6. Before you can personally know the Father in heaven you must have eternal life, which is the result of Jesus’ ‘gift’ of salvation completed solely by him at Calvary in payment for the penalty of death for your sins. For you to know the Father in heaven is all about your relationship with God. This is not about how much ‘information’ you know about him. There are none who can stand before our sovereign Father in heaven and bring a charge against him. The absurd allegation that Satan has challenged the ‘character’ of God is nothing more than fiction imposed upon a gullible world of fallen sinners searching for answers outside of Scripture. Today’s lesson opens with this statement: ‘Jesus came to emphasize what the Old Testament had already affirmed: the Father looks at us with incomparable love (Jer. 31:3, Ps. 103:13)’. The Old Testament references in the above lesson quote tell us nothing as to the specific reason Jesus came to live among fallen mankind. Certainly the Father loves us as mentioned in John 3:16 & 17 but those Old Testament references don’t tell us what Jesus’ mission here on earth was. Because of the love of the Father in heaven Jesus came to give eternal life to those who accept the pure simple gospel message. Because it was a complete total victory over death he ascended into heaven and sat down in the most holy of places at the right hand of the Father nearly two thousand years ago. The love and compassion of our heavenly Father for each of us is revealed throughout Scripture. The theme text for today is Matt. 6:25-34 and is part of the teaching of Jesus we normally refer to as the ‘Sermon on the Mount’ which begins back in chapter five. In Matt. 5:3, we see Jesus is preaching to those who would join “the kingdom of heaven”. If you are one who has responded to the gospel message we have spoken of earlier and have joined the ‘kingdom of heaven’ this teaching is for you. One overall impact when you study the whole of the Sermon on the Mount is that in this present life those who have responded to the gospel message of Jesus Christ do not escape the consequence of living here in this present evil world. Rather, our loving compassionate Father in heaven gives us promises that we will grow in sanctification knowing we are secure ‘in the arms of our Savior’ regardless of our circumstances or the tribulations we face. Today’s theme passage begins with the phrase; “Therefore I tell you, do not be anxious about your life”. The key word ‘Therefore’ directs our attention back to the previous section beginning at verse nineteen where Jesus gives three reasons why it is better to trust God rather than ourselves or the things of this present age. So, we will look at why this passage begins with the word ‘therefore’ by look to the verses that came before ‘therefore’. When our life in this present age is over we will take nothing with us. Rather, lay up eternal treasures in heaven where in 1 Cor. 3:10-15 our treasures are called works that must survive the test of fire and are built upon nothing more or less than the foundation of our faith which is the gospel message of Jesus Christ as outlined earlier this week. Our works, even if they do not survive the test of fire, do not affect our eternal security in the kingdom of God. Consider this; is the spiritual lamp in your life the light of the blood of Jesus that cleanses you from all sin? Or, do you foolishly think any work of yours contributes anything towards your salvation in the sight of God? The message is bluntly simple. You are either totally serving God or you are still part of this world system. There can only be one master in your life. Then the promise of Matt. 6:25-34 is that there is nothing in this present life to be anxious about. Today’s quarterly lesson explores the relationship of our Father in heaven, Jesus Christ the Son of God who is our Lord and Savior and the Holy Spirit, all who are our one and only God. In recent years Adventist theologians have made a real effort to make the Adventist definition of the Godhead compatible with the orthodox Christian doctrine known as the Trinity. The doctrine of the Trinity defines the mystery of who God is by acknowledging in accordance with Scripture that the Godhead is much more than that of function. It is one of relationship where they all are the one and only eternally existing God. The doctrine that exposes the Arian roots of Adventism is the belief that Jesus was once known as Michael the Arch Angel the brother of Lucifer who is now called Satan. This is heresy. Jesus has always been the Son of God and was never the brother of Lucifer. In the Gospel of John Jesus is known as the Word who was both with God and was God from the very beginning of time. Jesus is our Creator as all things were made through him. This would include Lucifer who certainly is not the brother of the Son of God. In the book of Hebrews God declares Jesus is the Son of God who is infinitely superior to any and all angels. Therefore we must conclude Jesus was himself never an angel and certainly could not have been the brother of Lucifer as depicted in the Great Controversy world view. It is not possible for Adventism to maintain their foundational concept of The Great Controversy world view that led to Lucifer’s rebellion in heaven and reconcile it with the understanding that Jesus the Son of God is who he is, the Creator from the beginning of time, that he created all things including angels including Lucifer himself. Jesus is infinitely superior to all the angels. As long as The Great Controversy world view is maintained Adventism is hindered in formulating a doctrine of The Godhead that is compatible with the orthodox Trinity Doctrine. This can only be in reference to the Lord’s Prayer found in Matt. 6:9-13 or possibly Luke 11:2-4 where Jesus gives this instruction. In the Matthew version of the Lord’s Prayer Jesus gives multiple warnings about how not to pray. He then introduces the concept of directly addressing God as “our Father in heaven” yet says nothing about why this would “strengthen our confidence in God”. In the Luke shorter version Jesus was simply asked how to pray. In Hebrews 9:1-14 we see that those who were covered under the Old Covenant could only approach God through a Levitical priest and the High Priest would only enter into the Holy of Holies once a year after purification had been made through the offering of the prescribed sacrifices. At the death of our Savior Jesus Christ at Calvary he became our eternal Great High Priest, his shed blood forever eliminated the need for animal sacrifices and at his death the veil that separated the Holy of Holies from the Holy place in the earthly temple in Jerusalem was torn away proclaiming that the children of God now have eternal direct access to the Father in heaven. 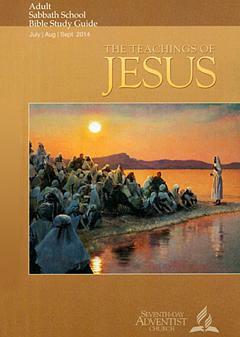 What Jesus was teaching in the Sermon on the Mount which the Lord’s Prayer is a part of is that through his coming shed blood at Calvary for the remission of our sins he was introducing a New Covenant where we would have direct access to God and we would address him as ‘our Father in heaven’ in the same way little children approach their earthly father. This was something revolutionary and never heard before. The word ‘Abba’ is an Aramaic word that would most closely be translated into English as ‘Daddy’ or ‘Papa’ and is a very tinder term a small child would say to a loving earthly father. Through the blood of Jesus Christ shed at Calvary we now have direct access to God because his shed blood removed the veil that separated us from approaching God in person. The removal of the veil also means there is no longer a separation of the Holy of Holies from the Holy place. Therefore when our Savior Jesus Christ sat down at the side of our Father he has forever been in the most holy of places in heaven and has been there for the better part of two thousand years. As God’s children we have the privilege of addressing our Father in heaven “Abba Father” in the same manner we would want to call our loving earthly father “Daddy”. Copyright 2014 BibleStudiesForAdventists.com. All rights reserved. Revised June 25, 2014. This website is published by Life Assurance Ministries, Camp Verde, Arizona, USA, the publisher of Proclamation! Magazine. Contact email: BibleStudiesForAdventists@gmail.com.